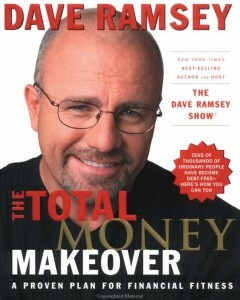 Everyone who reads Own The Dollar should know that I am a big fan of Dave Ramsey and his radio show. For over a week earlier this month, I reviewed the seven steps of Dave Ramsey’s guide for getting out of debt and building wealth through his book, “The Total Money Makeover“. I broke each of his baby steps, as he calls them, down into separate posts and dissected each one of them. In case you missed it, you can find more details about completing each one below. Now, I wanted to share with you a few reasons why you should take Dave Ramsey’s investing advice with a grain of sand. He is without a doubt the “get out of debt” guru everyone heralds him to be. But, some of his investing methodology leaves many people shaking their heads in confusion and caution. Actively Traded vs. Index Funds. Dave Ramsey always recommends seeking out a higher rate of return through actively traded mutual funds with fund managers. He says that you should be able to earn about a 12% return on your investment through good, growth stock mutual fund. He is technically right. You can find some mutual funds with those kinds of rates of returns over a long time horizon. While not common, it is doable. The real trouble is finding which mutual funds he is referring to. To do that, he recommends you seek out an endorsed local provider. Endorsed Local Provider. Now, you should understand right up front, that these investment advisors pay Dave Ramsey a finders fee every time one of his listeners goes to them for advice. Contrary to normal financial planning advice that is dispensed these days, Dave Ramsey recommends commission-paid advisors rather than fee-only advisors. Many investors have shied away from using commission based advisors because of a potential conflict of interest. Commission based investment advisors make money when they trade for you in your account. Buying and selling stocks and mutual funds for you is what generates them income. With fee based financial planners, there are only flat fees paid by the investor which are usually a percentage of your overall portfolio. The catch is that with a commissioned-based broker, the referral fees don’t have to be disclosed to the customer. You will not necessarily know that Dave is getting paid by the advisor because they do not legally have to tell you. But, a fee based advisor, like a registered investment advisor, would have to disclose that up front. Withdrawal Rate Too High. In his book, Dave Ramsey recommends a withdrawal rate of up to 8% of your investment nest egg each year during retirement. That is too much. Most financial planners and the financial planning community recommend a more conservative rate of 3% to 4% annually increased each year to keep up with inflation. This has been shown through statistics and modeling to be the most likely way to keep from outliving your money in your Golden Years. While everyone cannot be perfect, Dave Ramsey is still the leader in teaching people how to get out of debt and begin living the life that we all have dreamed about. I would absolutely say that helping get people out of debt is Ramsey’s competitive advantage. It is what he is most passionate about. Although he is very qualified to talk about other aspects of financial planning, you should take what he says with a grain of salt and do your own research as well. Ramsey even tells his audience to invest, not because he said to or in investments that he recommends, but to invest in what you know and to learn the “why” behind the investments. If you wanted to see even more discussion on this topic, you should check out The Oblivious Investor and his breakdown of Ramsey’s investment advice flaws. It is a great read with some excellent comments and discussion! I give kudos to Dave Ramsey for getting people excited about their finances, but I’m not particularly a big fan of his. I have 3 other reasons why not to follow his advice. 1. Although the debt snowball is a good idea, I suggest doing something a little different. He says to pay off according to lowest balance. I think you should use the DOLP method in determining which one to pay off first. David Bach’s method makes your money most efficient when paying off debt. Oh, and he hates credit cards, we love them. 2. He urges you to pay off your mortgage as quick as possible. If you use the DOLP method, you’ll find that your mortgage is usually the last thing to pay off. Also, equity in your house is illiquid, not safe from market fluctuations, and gives the control to the bank. Equity has no rate of return. 3. Life insurance. Dave is a big proponent of term life insurance policies. Although there is a time and a place for term life, we like whole life policies. There are many advantages to whole life insurance that no one really understands. However, banks, large corporations, and the wealthy use these policies to accelerate their wealth. @ Bern – Two quick things…. While Dave Ramsey wants his followers to pay off their mortgages early, he also says to make paying off your mortgage the last thing you pay off. Paying off your mortgage early is also listed on the baby steps at the end after you start investing for retirement, saving for college, etc. I could not disagree with you more about life insurance. I have lived this exact scenario. For 99.9% of all people out there, Term Life Insurance is the better option instead of Whole Life. $100 per month in whole life premiums for $100,000 in coverage or level 30 year term $500,000 policy which only costs somewhere in the neighborhood of $70 a month! You don’t need life insurance for your entire life. You need it to insure your income stream when people depend on that income. That dependency usually ends at retirement age….right when a 30 year term ends….very convenient. What I’ve learned is that paying off your mortgage is a risky move. Again, equity is not safe from loss of principal, it’s not liquid, and it doesn’t earn a rate of return. Dave is only concerned about how much you pay extra in interest. My advice, don’t pay extra on your mortgage. Put that money in a safe, liquid, interest earning vehicle. Then, if you so choose, pay your mortgage off in one large check. I agree with you. For 99.9% of all people out there, Term Life Insurance is the better option…because they aren’t aware of how to utilize Whole Life Insurance as a tool of production in their living years. You’re right again, Term Life Insurance is cheap, but why is that? Less than 1% of all term policies pay a claim so that means the likelihood of you getting the death benefit is…unlikely. I guess that’s a good thing. All that money incurs the cost of lost opportunity. After your term ends, insurance is likely to be much higher. Now your assets act as insurance which is not a good thing either. Along with all the advantages of whole life insurance, we use our policies to act as a personal bank and recapture that cost of lost opportunity. Banks, large corporations, and the wealthy use this strategy. But you don’t have to be any of those to utilize it…just an understanding. Bern, if you listen to Dave Ramsey on his show you would know that the main reason he teaches to do the debt snowball like he does is not only for financial reasons but for physiological reasons. When someone pays off that first part of debt (the smallest debt on the list) they gain a feeling of accomplishments and are motivated to continue to pay off debt. It’s like if you are losing weight, if you lose 5 pounds in a week you are going to think, “yeah! I can’t do this, I rock!” Plus it makes your personal get out of debt plan simple. The Reason Dave says to pay off your mortgage as fast as you can (after you have paid all other debt), is because once you are completely debt free you are then free to build wealth very fast. When people buy a house it is of course an investment, but like you said you can not control the equity because of the market and such. You mentioned that gives control to the bank. The thing is if your house is paid off the bank no longer has control of your life. GREAT huh!? You then are free to invest in ANYTHING you want with that money that you normally would be spending on your monthly mortgage. Concerning Dave Ramsey’s ELP program. Those that become ELPs MUST pass a stringent course. The ELPs I have talked to are very open about how they do give Dave a referral fee and have to follow certain things to get his endorsement. If you meet with them and you do not like them, OR if they do anything that you think Dave would not approve of all you have to do is report your experience to Dave and if they feel it is valid they WILL drop that ELP. I feel that because of this you are able to put a certain trust in them. Not to mention there will usually be a couple in your area so you have the freedom to interview each of them and choose the one you like best. I think this program is great in that it allows you to find professionals who will have the same financial ideals as you. Plus, you DON’T have to use them if you do not like them. About the retirement withdrawal rate. If you listen to Dave Ramsey’s radio show you know that that is one of the reasons he tells you to talk with an ELP about about your plans. You have to remember that your retirement plan has several factors such as how many years you will be in retirement, how much money you have saved etc. I see NO holes in Dave’s plan. If you follow it you really can’t go wrong. I am 27, married, have two kids and we have absolutely no debt. How many Americans can say that? Can you see a HOLE in that? What percent of Dave Ramsey’s students have less debt 5 years after completing the course? I am persuaded weaknesses in human nature make it impossible for more than 5 of every 100 graduates to be financially successful to age 65+ in America.